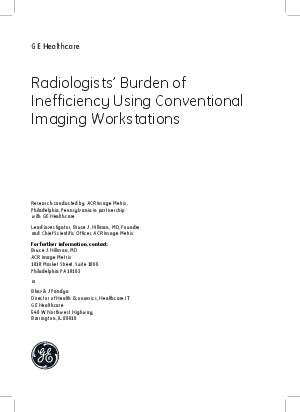 This study surveyed radiologists about inefficiencies in their respective workflows, revealing a number of shortcomings associated with the information technologies radiologists employ to review, interpret, and report diagnostic imaging examinations. Our findings indicate a considerable opportunity for more intuitive, efficient multi-modality, multi-function systems to improve radiologists’ workflow and productivity. Read the full case study.